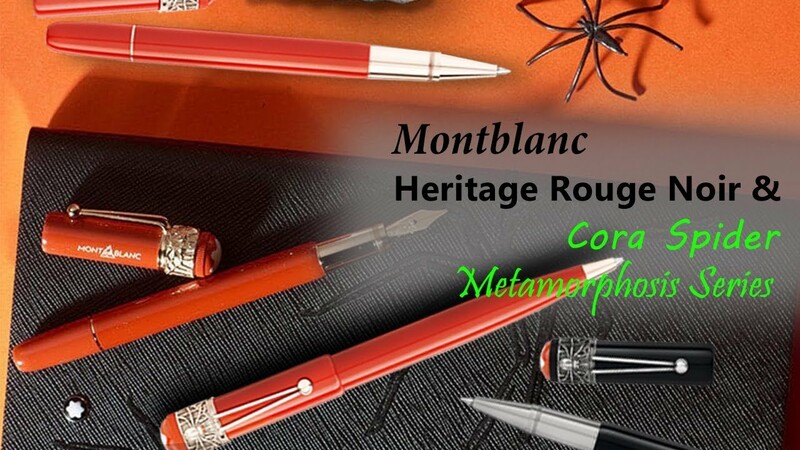 Celebrating 110-year-old pioneering spirit of Montblanc with the introduction of Heritage Rouge & Noir Spider Metamorphosis Fountain Pen in Black; interprets the legendary writing instrument featuring a longer, slimmer silhouette, modern piston filler technology and craftsmanship refined over generations. The exclusive fountain pen's barrel is made of black precious lacquer combined with a black precious resin cap and spider clip in a vintage look with matching fittings. Writers and poets have used spider as a metaphor for creative writing. Special edition.